If someone were to ask you what the most important part of your home is, what would you tell them? Perhaps you’d think of your air conditioning, pumping cool air throughout your home, or the plumbing system, which delivers fresh drinking water to your home daily. What if someone were to suggest that the thermostat is one of the most critical elements of your home? Some may scoff at the notion of this little tiny component in your heating and air conditioning in Stockbridge being that crucial, but it’s true. The thermostat in your home has the power to save you money and hassle. It’s up to you to treat it right to make sure it’s able to do so. Here are some of the things that make your thermostat so important that you may not have ever considered. Of all the things that you can do in your home to save money during the summer months, one of the most impactful things is adjusting the thermostat. This little device on the wall can save you up to 5% on your monthly cooling bills just by adjusting the temperature a few degrees. You may have time to adjust your thermostat throughout the day but nobody really wants to be checking and double checking the temperature every few minutes to make sure it stays in control. 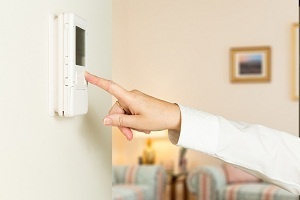 One of the things you may want to consider is upgrading to a programmable thermostat. This allows you to set your thermostat to run cooler at certain times of the day and adjust itself during those times that you won’t be home. this will save you time and money. The air in your home can be finnicky. Sometimes it feels too hot and sometimes too cold no matter what you set it at. 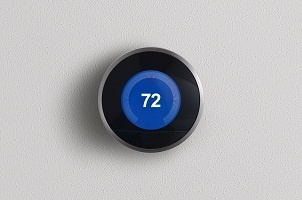 With new and improved smart technology, however, you can set the thermostat to stay at a certain temperature. Using smart technology, some thermostats can even detect when you're not home and adjust the temperature in the home accordingly. This saves you time and money. The thermostat in your home is the key indicator that will determine how comfortable you are at home. Setting it at the right temperature will save you money and time and upgrading it can save you hundreds of dollars a year. When you’re thinking of hiring a Stockbridge HVAC contractor to repair your cooling or heating equipment, consider whether your thermostat should get an upgrade too.